Add the CSIA4 center channel to your current entertainment system and I think youll be surprised at the results. Polks tried and tested Dynamic Balance technology influences the tweeter for smooth, full response. 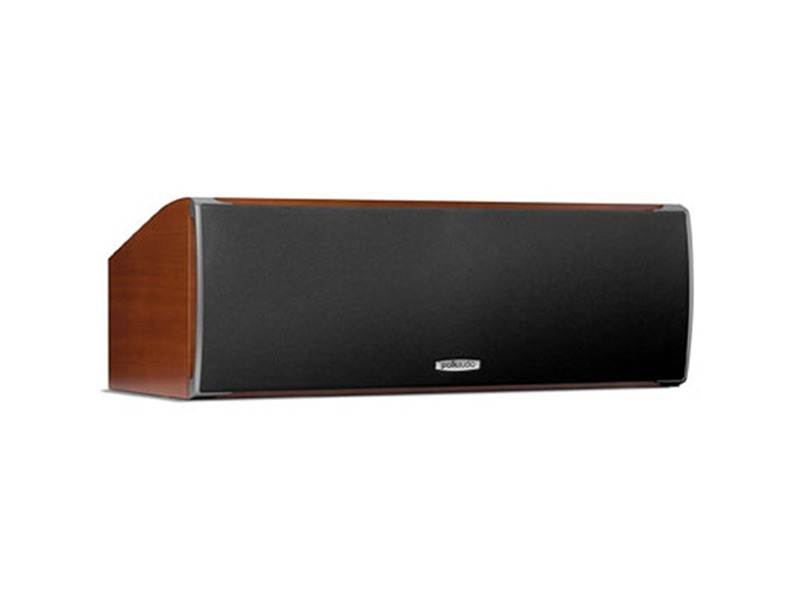 Picture distortion is prevented by the speakers magnetic shielding. Gold-plated 5-way binding post inputs let you make the most secure connections. Center Channel Speaker voice-matched to RTi A speakers,frequency response 65-25,000 Hz The CSi A4 has an aimable cabinet to give you placement flexibility and finer sound-tailoring for your high performance home theater system.The CSi A4 incorporate our latest Dynamic Balance Cone drivers and 1-inch tweeters. Bought this to replace a JBL EC25 center to add a bit of brightness/clarity for vocals while watching TV's or movies. The A4 was very bright and crisp sounding with good volume, but very lacking in the mid-range where voices typically are. Ended up using this and the JBL in parallel to have both frequency ranges. Eventually replaced both with an older polk center with larger drivers, CS400I. It filled all the frequency gaps and fit in really well with a full set of older polk's I found on CL (rt35i/25i fronts/rears). While the A4 is a quality built speaker, it just didn't work for me on it's own for what I use it for. I used it with a yamaha RX-V473 receiver, then upgraded to the RX-V677 to allow me to adjust the dialog level further. Both seemed to have plenty of power to drive it, but still was missing that lower/mid frequency range for voices and was constantly increasing/lowering the volume a lot to hear things. The RX-V677 helped with that issue some. The older/larger driver rt35i's really made it obvious that the A4 was lacking. Replacing it with the CS400I is what really did the job for me. I now have the A4 sitting behind my couch, unused.